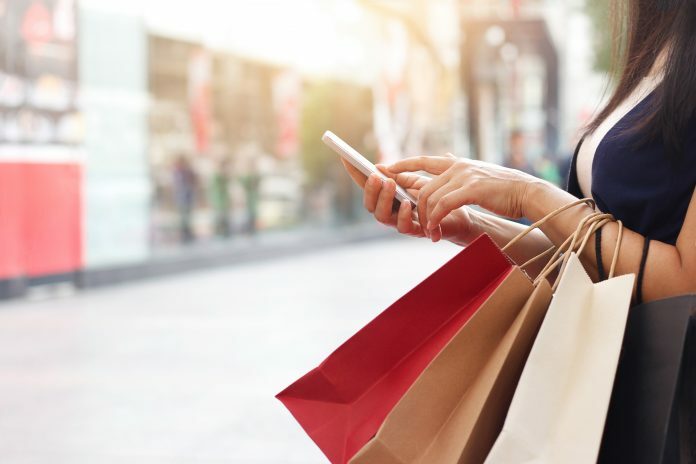 Valassis, a Livonia-based company that activates consumers through intelligent media delivery, has just released a research report highlighting consumers’ thoughts on brick-and-mortar shopping malls. The results reflect the opinions of 1,000 U.S. consumers classified as regular mall shoppers, or those who have visited an indoor mall more than three times within the past year. More than half of respondents reported doing most of their shopping online. However, brick-and-mortar stores can influence those looking for a one-stop shopping destination with strategic updates and incentives. “While the retail industry is certainly being disrupted, brick-and-mortar stores aren’t going anywhere,” says Curtis Tingle, chief marketing officer of Valassis. “However, they do need to evolve to meet modern shoppers’ expectations. Consumers want convenience, product options, and incentives, and all brick-and-mortar retailers, especially malls, need to understand their audience so they can provide an experience that makes visiting worthwhile. More than 60 percent of respondents said they are more likely to shop for apparel in a mall than online, as they can complete many purchases in one location, visit multiple retailers, and compare options. Respondents also listed other advantages to visiting a mall: 24 percent said they enjoy the social aspect, 20 percent said malls are convenient for quick gift purchases, and 19 percent said malls offer a full-day experience that may include dining and entertainment. However, about 40 percent of consumers said that having a broader range of product options and variations steered them to online retailers. Other factors that consumers said drive them away from malls include hectic parking and crowds (38 percent), having to travel (24 percent), and the increased likelihood of making impulse purchases at malls (16 percent). The respondents reported they could be encouraged to visit malls if there were more opportunities for savings or discounts (59 percent); better parking accommodations, such as valet (20 percent); events such as pop-up shops and giveaways (18 percent); and on-site grocery shopping (17 percent). Technology was also addressed in the survey. About 51 percent of respondents said they have yet to encounter technologies at malls, providing opportunity for retailers to attract new audiences. About 24 percent of shoppers have experiences cashier-less checkout services, and 20 percent have used digital wallets or payment systems in-store via apps. Another 7 percent have interacted with digital or voice assistants and augmented or virtual reality experiences. While convenience was addressed, it is subjective. About 25 percent defined convenience as minimal wait time and easy checkout, while 21 percent said it is the ability to receive the product sooner. About 18 percent said convenience had to do with customer assistance or service. Finally, 13 percent said having the option to return online purchases in-store is convenient, 11 percent defined convenience as offering in-store pickup for online purchases, and 11 percent said using mobile apps to pay and redeem coupons is convenient. Respondents said malls can improve on three top aspects: savings, coupons, and deals; shorter lines and wait times; and more access to in-store customer service reps.
More information is available in this infographic. Next articleU.K.’s Cosworth Unveils North American Headquarters, Manufacturing Center in Shelby Twp.